I believe this is the oldest of the modern translations of Julian, and was recommended to me by an OJN oblate. It was originally published in 1901, and first brought recognition to Julian in the twentieth century. I believe there are a number of different editions of this translation, and the one I read was published by Wilder Publications in the US. It is a little larger than a standard paperback, but also quite a slim volume, containing only 107 pages. Compared to most of the other translations I have read, this one uses more traditional language. It preserves more of the archaic vocabulary and, like the translation by Fr John Julian contains many short paragraphs, often beginning with a conjunction. I have not read Julian’s original Middle-English work, but I believe this is a reflection of how the Revelations were originally written. Apart from chapter numbers, there are no headings or footnotes, so if you are looking for a version which is only the bare bones, this is a good one to use. There is nothing to distract you from the text. This lack of any headings, however, means that it is difficult to locate a passage unless you already know the entire text well. I found the traditional language beautiful at times, but also quite a challenge. More modern translations are easier to understand, but for some people I think the beauty of the language will be worth the effort. If you enjoy reading the King James Bible, or the traditional language of the 1662 Book of Common Prayer, then this might be the translation for you. I was glad I had read this translation, and found quite a lot to underline in it, but also found myself thinking that I was glad that I had read more modern translations before this one. If I hadn’t I think I might have found parts of it very difficult to understand. It’s an important part of the history of Julian translations. Not a place to start, but somewhere to go when you know something of Julian and would like to read a different version her words. I am thankful that this book started the modern popularity of the Revelations; without it, there would not have been the interest which has led to so much more. 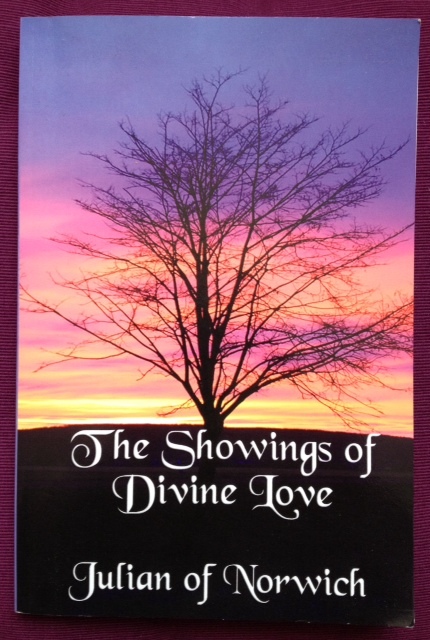 This entry was posted in Editions of Julian's writing, Julian of Norwich and tagged 1901, Fr John Julian, Grace Warrack, Julian of Norwich, order of julian of norwich, Revelations Of Divine Love, Wilder Publications by tokyopurplegirl. Bookmark the permalink.